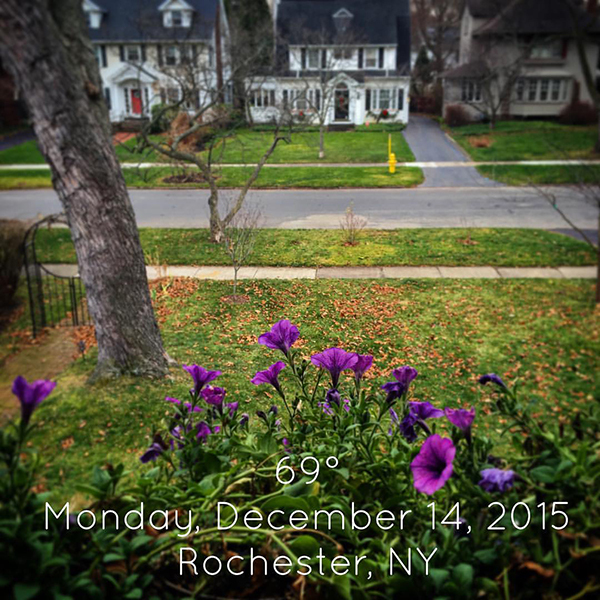 Maybe it's an apology for the bitter cold winter we had last year but this December has been unseasonably warm. Today is was 69 degrees... breaking records for the area. I felt really bad taking my window boxes out to make room for Christmas decorations because the flowers were still blooming! 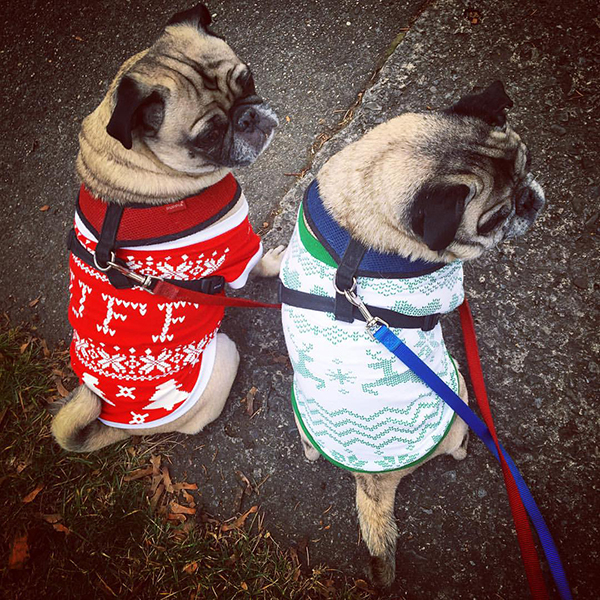 It's so warm, the pugs have traded in their Christmas sweaters for Christmas t-shirts.